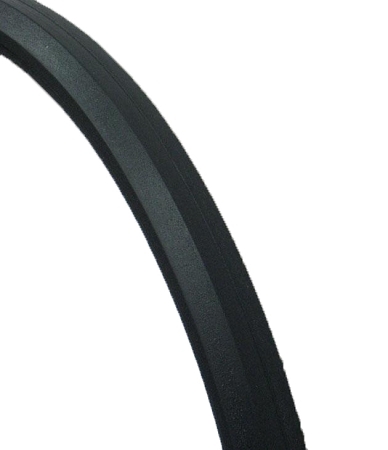 24" x 1 3/8" Solid urethane tire, with no cord. Dark gray with a pyramid tread. Flat-free, latex-free tire rides like a pneumatic tire but will never go flat. This tire will fit most mags with no valve hole. 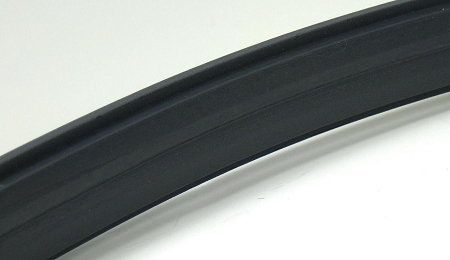 Solid urethane tires are made to Stretch onto the rim, therefor it must be slightly smaller then the rim to stay in place.